Patients trust their doctor to correctly diagnose symptoms and subsequently administer the proper treatment. Indeed the practice of medicine involves an initial examination, the performing of tests and coming to a decision about what is causing a discomfort or a sign of illness. 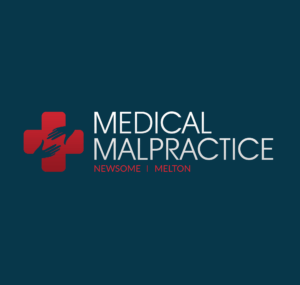 The most commonly filed lawsuits concerning medical malpractice are those in which an individual believes his or her physician failed to diagnose and/or treat a condition which escalated into a more serious illness, causing a severe threat to the patient’s overall health. When a doctor examines a patient who is complaining of certain symptoms, the first thing he or she does is to run some medical tests and compare the results with what the patients appears to be suffering from. Doctors use a probability model to determine what illness or disease may be most likely, followed by less probable causes in a descending order. Some diagnoses are quite easy; if the patient is showing obvious signs of influenza it will not take very long for a urinalysis or blood test to confirm the presence of flu viruses. However many of the common illnesses such as colds and flu are contracted by persons who are afflicted with something more serious; their weakened immune system may have something to do with why they have become sick. This is why a complete examination for other possible health conditions is vital. Complaints from patients in the area of medical malpractice often center around the belief that the attending physician did not order the correct tests or failed to recognize important results of those tests that were performed. An x-ray might be used to correctly identify a broken bone, but the doctor must be able to examine the x-ray properly to locate such a fracture. And there is always the possibility that test results can be mixed up; although rare, it sometimes happens that the medical reports for two patients become switched. This can lead to a patient receiving the wrong medicine or the wrong dosage of the correct medicine. Patient history is an important factor in making a correct diagnosis. The genetic factors of the patient and his or her family must be considered when it seems possible that a particular disease may be afflicting the individual. And certain medical conditions in the past are often good indicators of possible complications in later years. Although a doctor must examine the results of tests carefully and not jump to conclusions, it is sometimes true that failure to diagnose and treat within a given time frame can have disastrous results. Some diseases enter an advanced stage very quickly, limiting the methods for treatment. If a cancerous tumor is not identified at an early stage, it could soon metastasize, or spread through the body, meaning that chemotherapy or radiation treatment may not be possible. Underlying symptoms of a serious disease are often noticed when the doctor is actually performing a routine exam. With so much knowledge having been gathered over the years about what test results might indicate, it is of course in the best interest of the doctor to look over medical tests very carefully to see if there may be an indication of a major health problem lurking, even if the patient was initially examined only for something like an eye infection or a prolonged sore throat. Too often the indications of a severe medical condition are not looked into, and this can result in a case of failure to diagnose. Patients who believe their doctor ordered incorrect tests, did not perform a proper exam after listening to the patient talk of symptoms, or administered the wrong medicines or therapeutic treatments may wish to consult with an attorney specializing in the area of medical malpractice. Failure to diagnose and treat can cause long-lasting health problems for the individual and in some cases wrongful death suits may actually have merit.